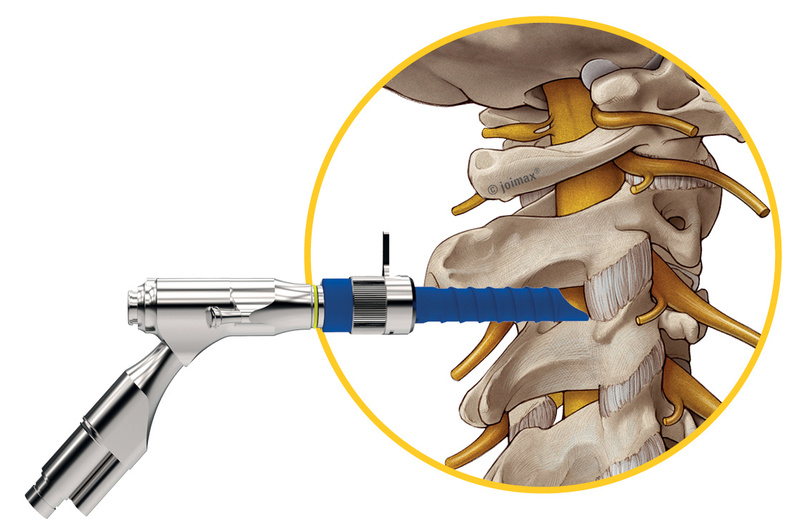 The CESSYS® Ventral technique is indicated for the minimally invasive treatment of cervical disc herniations. It uses an anteriolateral approach through the disc space, directly to the site of herniation. 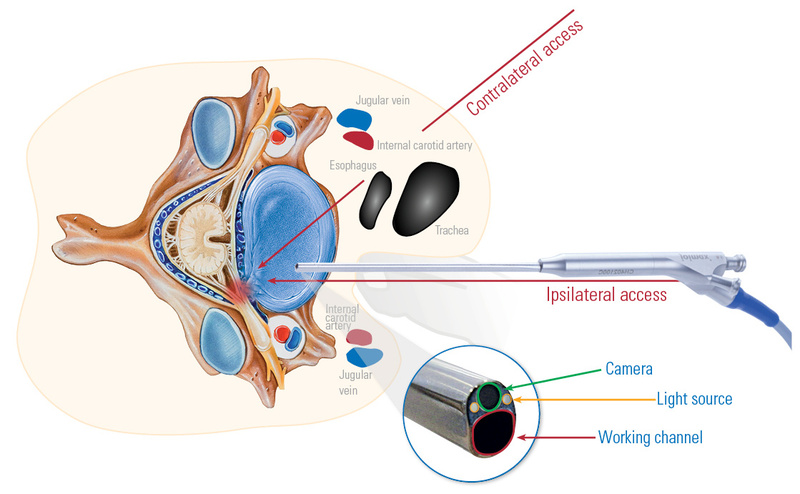 Under endoscopic visualization, the compressive disc material can be removed. The small diameter of the cannulas allow an atraumatic access and the removal of herniated disc material with specialized forceps. Additionally, a radiofrequency probe for tissue ablation and hemostasis is available. The CESSYS® Ventral procedure is contraindicated in patients with associated cervical instability and central stenosis.